Hawks where used for hunting during the Edo period. 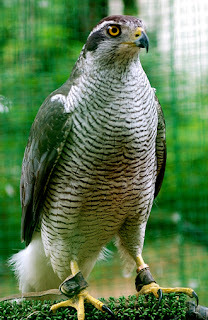 the bird was originally known as the Peregrine Falcon since very early times (even in Latin and in Old French) and the use of “Duck Hawk” in early 19th-century America is due to an error by the Scots-American ornithologist Alexander Wilson and perpetuated in his book American Ornithology. Of course today we know Wilson was quite wrong about that. It is in fact a migratory bird, which is why the name has been CORRECTED AND RESTORED TO ITS OLD FORM of “Peregrine Falcon”. Above the promontory of Irago. There is also a stone memorial of this haiku at Iragozaki on this LINK. From an essay by Kazuyoshi Enozawa, Keio University, Japan, titled "A Japanese Perspective on English Poet, Gerard Manley Hopkins." 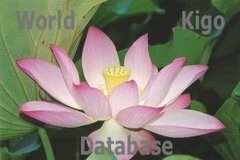 "The original Haiku line contains just one verb and one adjective, which together constitute the middle word-group. The verb is mitsukete, and the adjective is ureshi. As is usual with Japanese, there is no explicit word denoting the subject of the verb and the adjective. The implied subject is the pronoun 'I', as the Japanese reader judges immediately. Hence the 'I' in the English version. There is a cause-effect relation between the verb and the adjective, so that the meaning of the middle word-group in the original would be something like 'I was delighted to find . . .'. "Any reader but the dullest would instantly sense the flatness of such a paraphrase. ... What comes to me as a striking expression in Professor Yuasa's translation is the idiomatic 'By a singular stroke / Of luck, I saw . . .'. 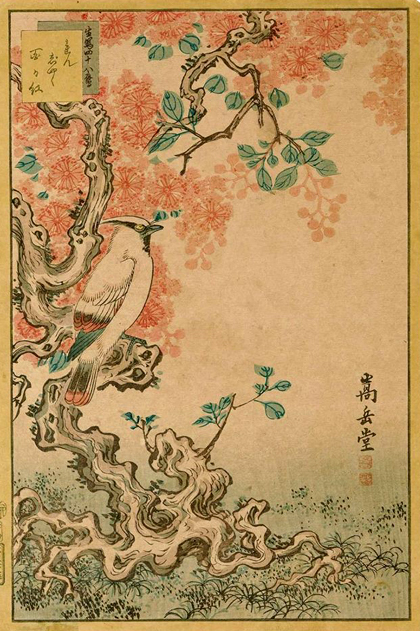 The object of the poet's observation is of course a hawk, that is, Taka hitotsu. This phrase literally means 'just one hawk', or 'a single hawk'. "Again this paraphrase would look poor: it suggests in effect that there was no more than just one bird in flight. The translator obviously wanted to evoke some such emotion as 'loneliness' in the reader by deliberately choosing the emotive adjective 'solitary' instead of a mere numerical 'one' or 'single'. What then did the poet see a hawk doing? The original verse says nothing. It is left entirely to the reader's imagination to decide the supposed action of the bird. Here the translator has chosen a verb very appropriate to the scene: 'circle' in its (present) participial form 'circling'. Irago-zaki is simply a place name referring to 'the promontory of Irago'. Here again, one has a need to supply some appropriate preposition for the noun phrase irago-zaki. And the appropriate preposition within the context that comes most naturally alike to the translator and to the reader is 'over' or 'above' and there is no question about it." Basho's "taka hitotsu" appears in "Oi no Kobumi" ("Knapsack Notebook," title translated by David Barnhill). "Cape Irago, at the tip of a peninsula, was famous in waka for its hawks. It also was associated with the exiled Prince Oomi in the early 'Man'yoshu' poetry collection..."
When Basho wrote this haiku, he was also visiting a disciple, Tokoku, who was living there. Barnhill describes Tokoku as having "moved to Irago after suffering financial difficulties." But others describe Tokoku as being in exile there (Shirane), and having his hideout there (Sanga). 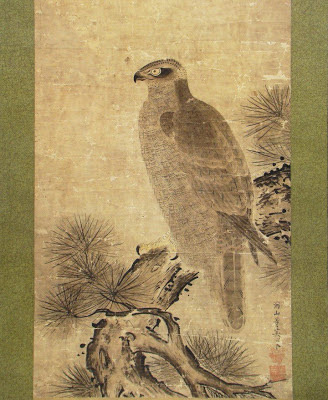 Some commentators suggest that seeing a hawk is a veiled reference to Basho seeing Tokoku there. Although Barnhill gives the literal meaning of 'niru' as 'resemble', which is the meaning that Keene uses in his translation, Barnhill uses "match" in his translation. I don't think Keene's use of "resembles" is good. He means it in the senes of "comes close to being like," but it can also mean "is like." One COULD interpret him to mean that there were no hawks there at all; that there was no hawk's cry to be heard. Whether it's correct or not, Barnhill's version makes more sense to me. Basho visited Iragozaki 伊良湖崎, 伊良古崎 in November 1687, with three of his students. The area is also famous for an old kiln, where the roof tiles for the temple Todai-Ji in Nara have been made. 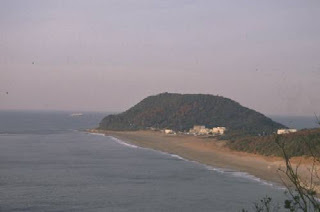 It is situated on Atsumi Peninsula 渥美半島.
. Matsuo Basho 松尾芭蕉 - for Tsuboi Tokoku 坪井杜国 . CLICK for more of his drawings ! 生写四十八鷹図 (Shô utsushi yonjûhachi taka). A man who was captured by a hawk 鷹 and taken deep into the mountain forest wa lucky on the 7th day of the 11th month. The King of Salmons came to his rescue, taking him on his back on the way downstream. Now people beat the drums on the riverside so as not to hear the voice of the Salmon King. MORE Legends about the hawk to explore . . .